The Chinese version of this is to build cities for a million people: Time.com. 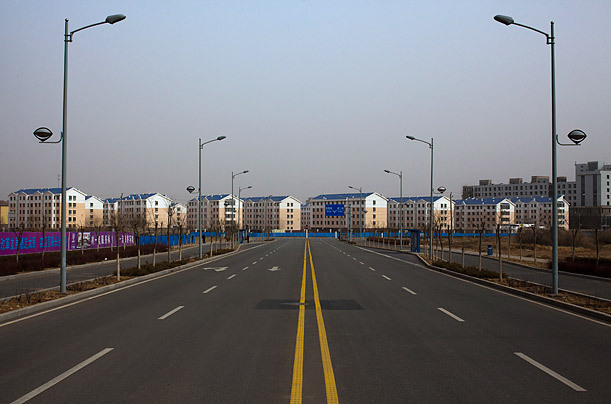 A friend of mine who lives partly in China told me ghost towns are popular with artists. The Japanese version of this is a densely-packed island city: Hashima (Vice.com). It's the island base of the villain in Skyfall. The Soviet version of this is Pripyat, Ukraine. Not one of its 50,000 residents remains but it still has the Chernobyl nuclear power plant: Wikipedia.org. 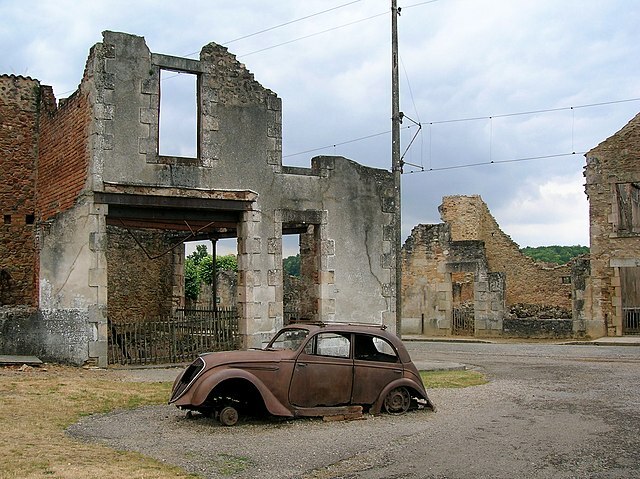 In 1944 the Nazis massacred everyone in the French town of Oradour-sur-Glane. Charles de Gaulle ordered that the town remain depopulated as a permanent memorial: Wikipedia.org.